Technology can do wonders for education – quick & smarter communication, speedy learning and the ability to track performance and results across the system without putting manual efforts. With us you can implement a new institute of thought, best-in-class technology and the better strategy to make things perfect. We recognize challenges and focus on Education & Research solutions empowering students, teachers, management and researchers with the best industry specific tools . 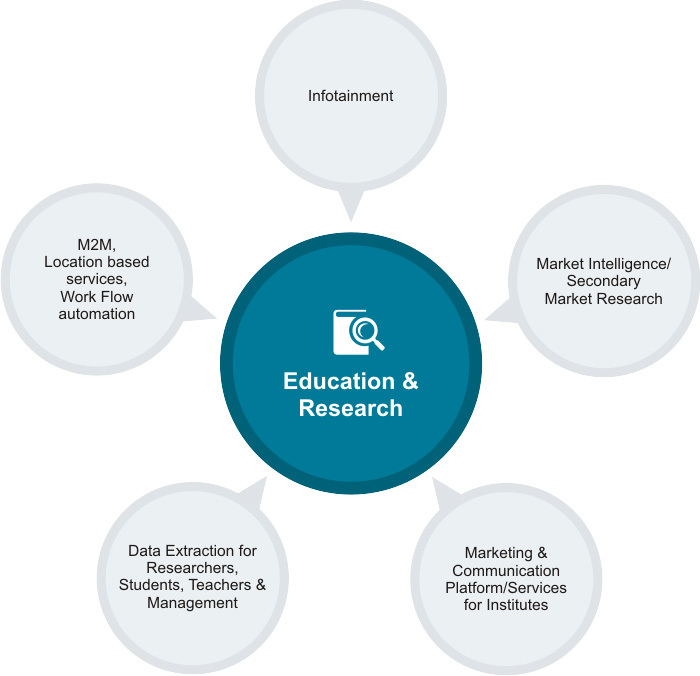 Visit DataCrops Solutions for Web Data Extraction, Analytics, Online Market Intelligence & Market Research Solutions. Visit TeleOSS Solutions for Marketing, Work Flow Automation, Infotainment, Location based services & M2M Solutions.